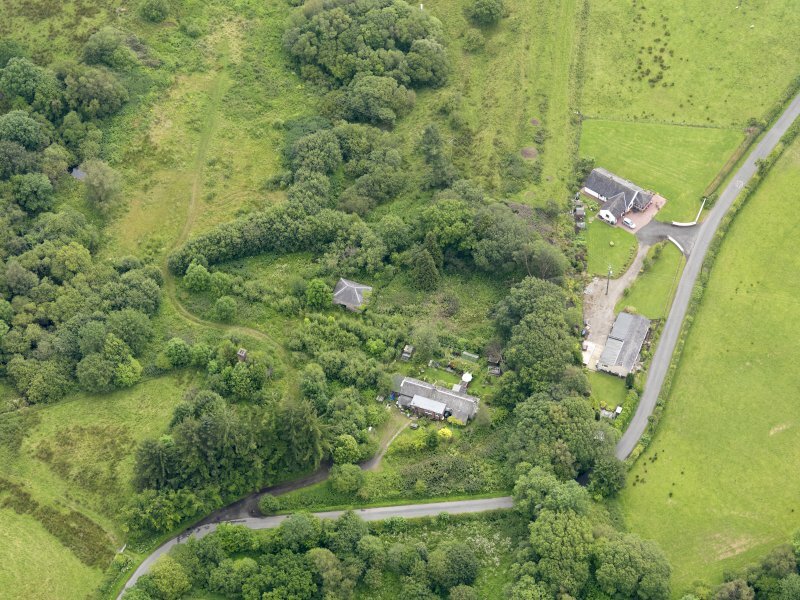 Oblique aerial view of Tarrasfoot Tileworks, taken from the SW.
Oblique aerial view of Tarrasfoot Tileworks, taken from the SSE. 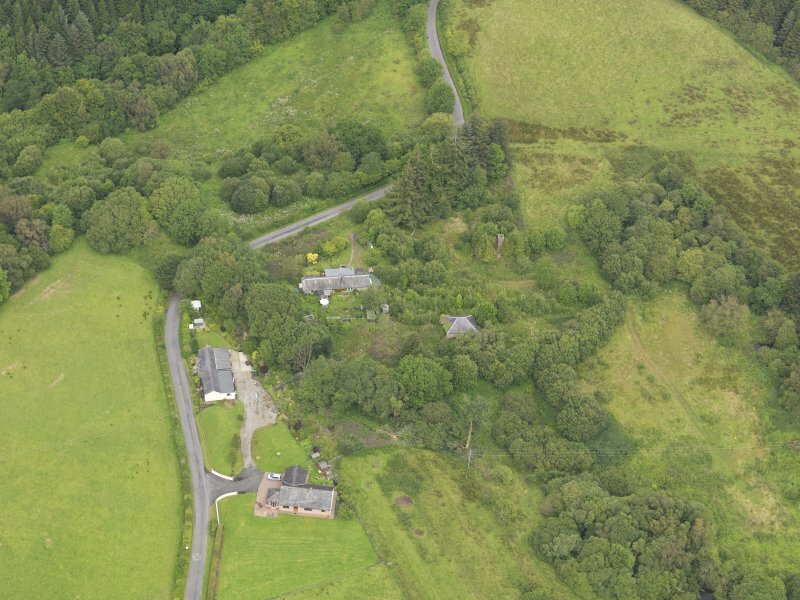 Oblique aerial view of Tarrasfoot Tileworks, taken from the SE. 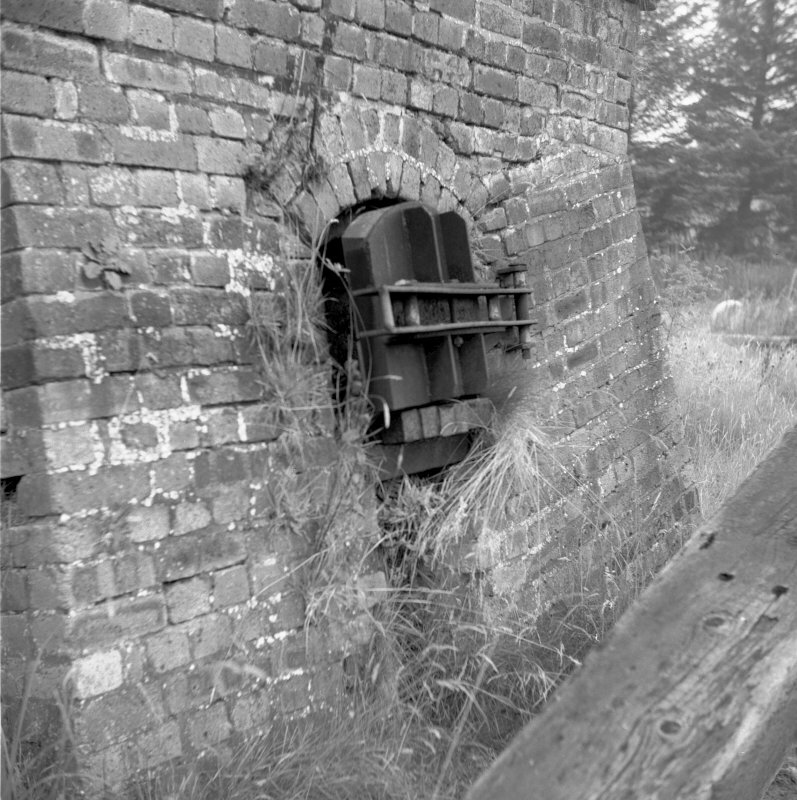 View of kiln from WNW. 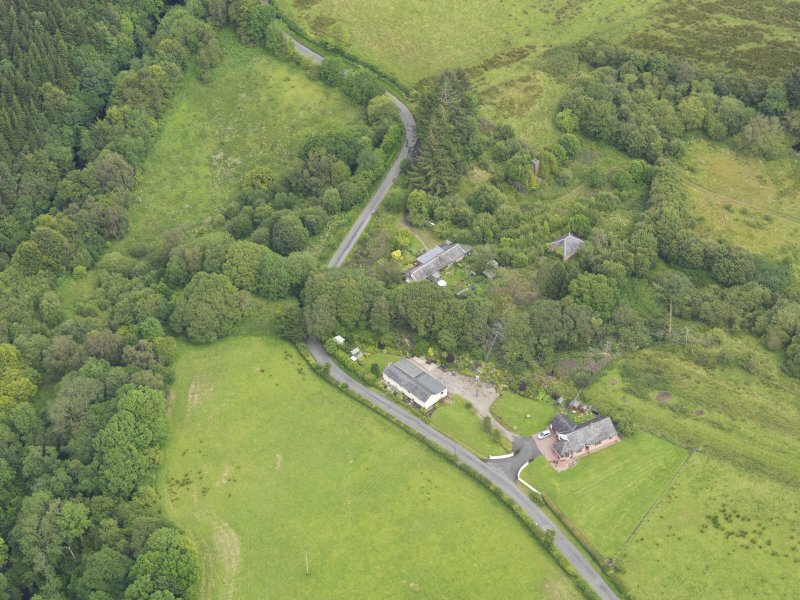 Oblique aerial view of Tarrasfoot Tileworks, taken from the NNE. 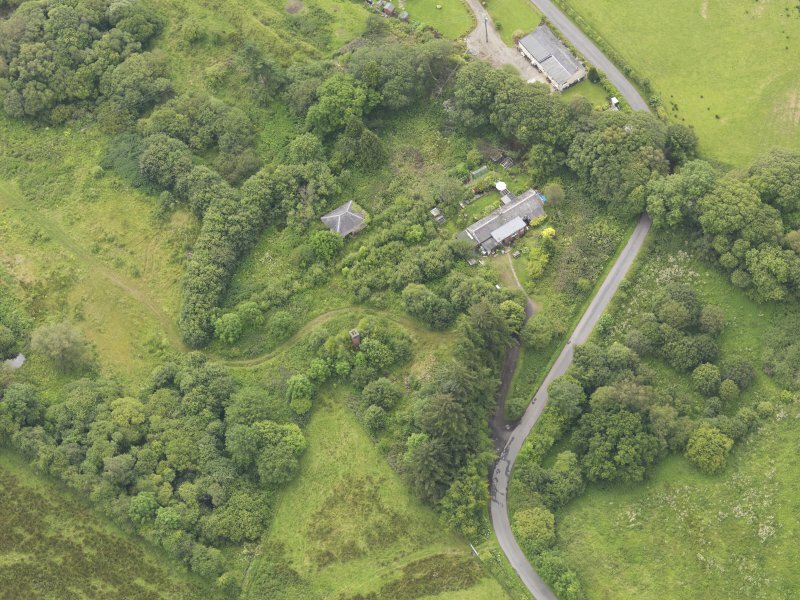 Tarrasfoot tileworks. 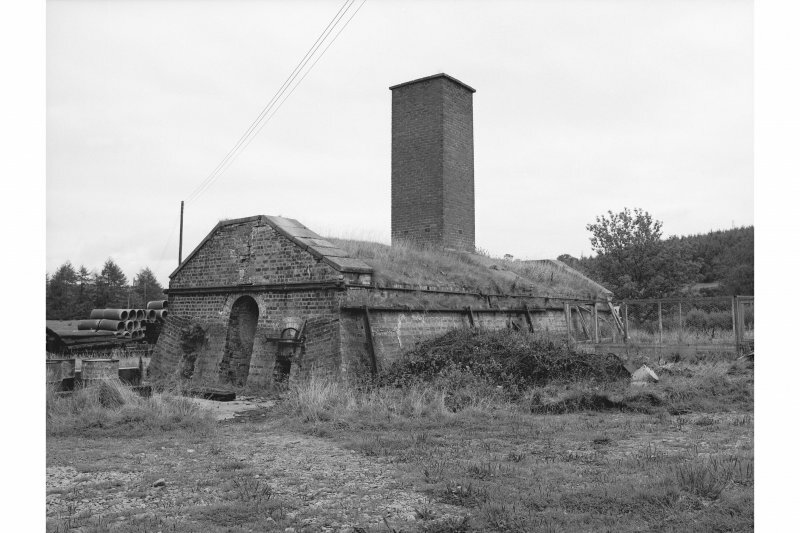 View of kiln and drying sheds from NE. 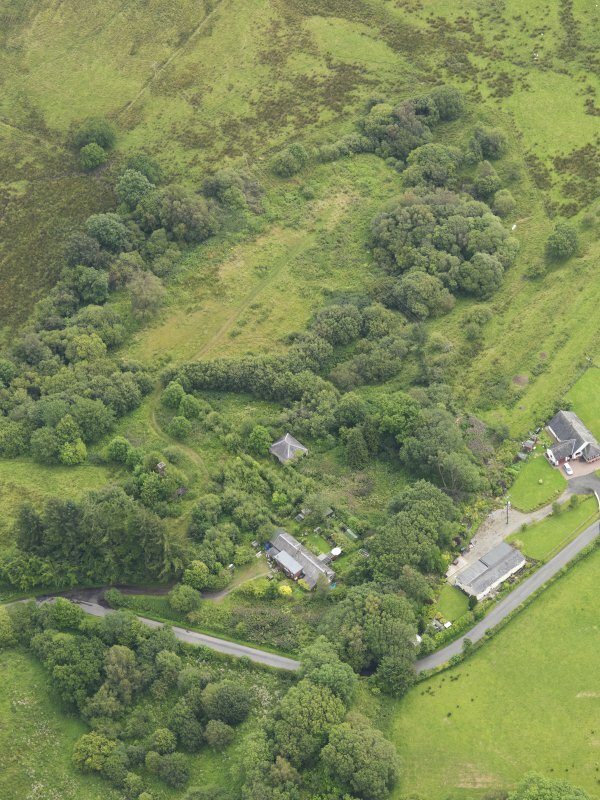 Oblique aerial view of Tarrasfoot Tileworks, taken from the WNW. 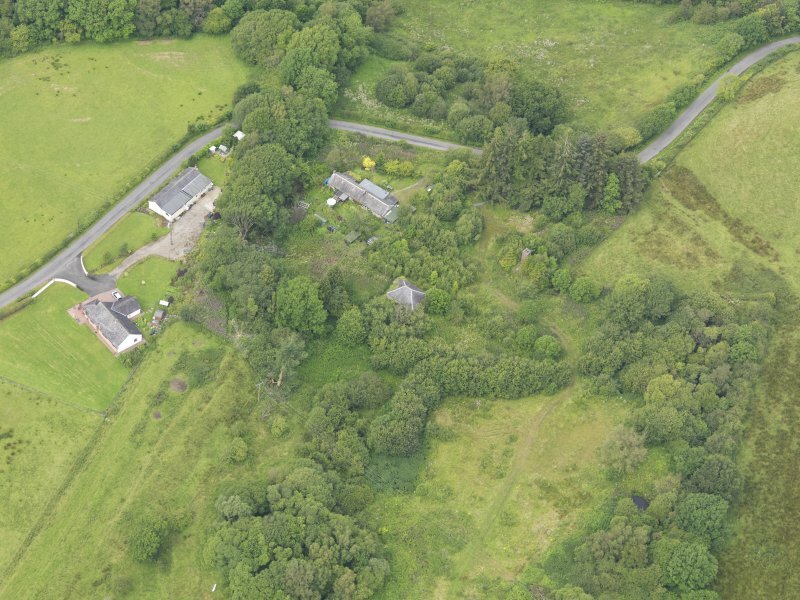 Oblique aerial view of Tarrasfoot Tileworks, taken from the NNW. 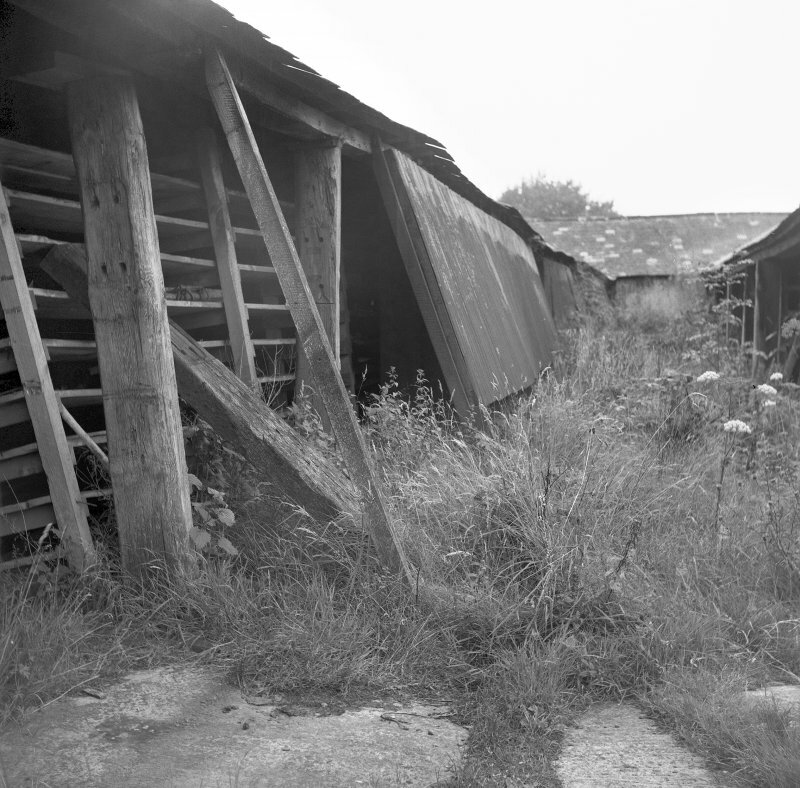 General view of drying sheds from NE. For flint knife found near tileworks, see NY38SE 19. (Location cited as NY 381 809). 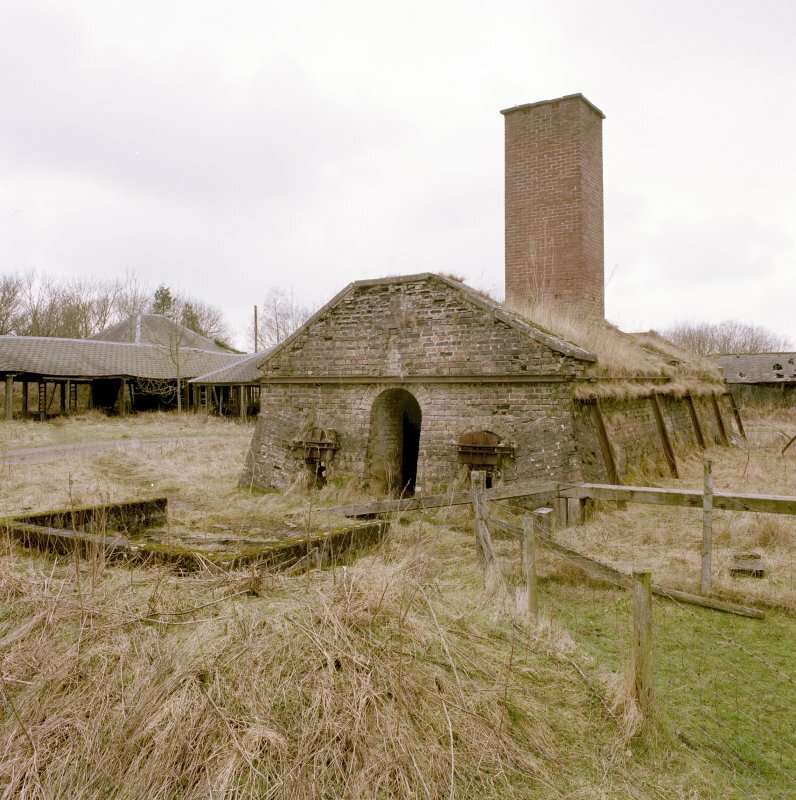 Tarras Tileworks, early 19th century. 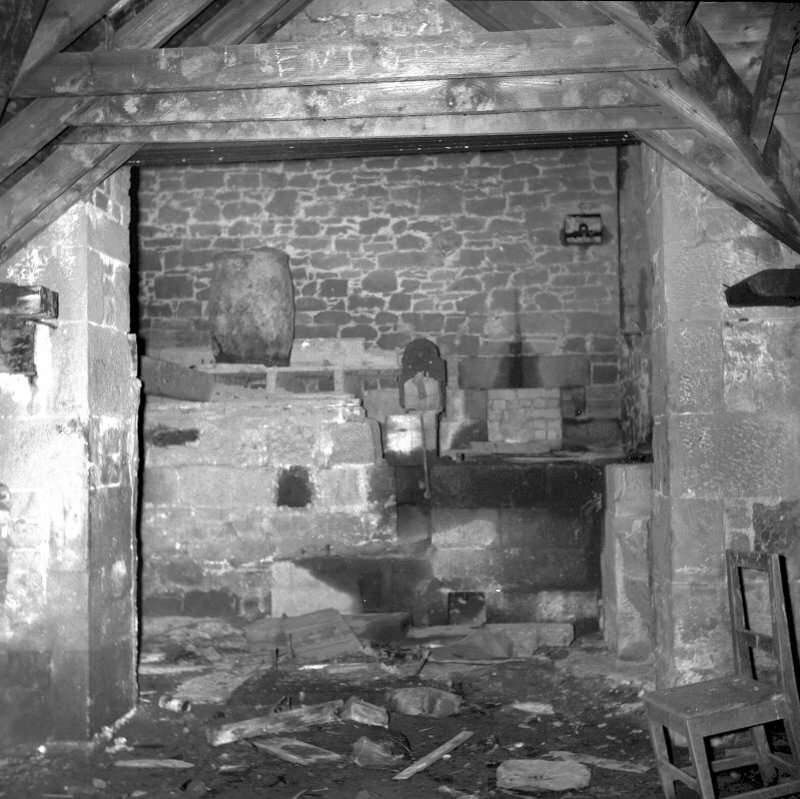 A small works, with a single kiln and an L-shaped range of drying sheds. 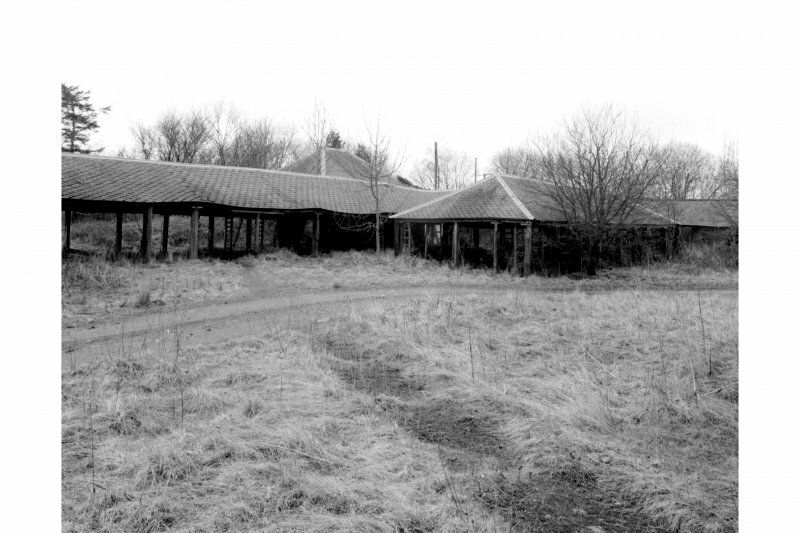 Closed in 1969 and used as a store. 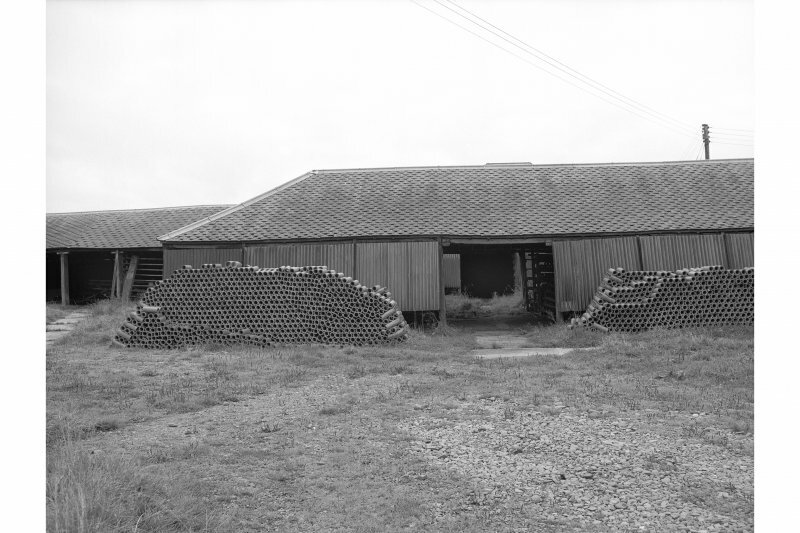 The tileworks at Tarrasfoot was in operation by 1857 but most of the present buildings are of more recent date. It was last used in 1969. 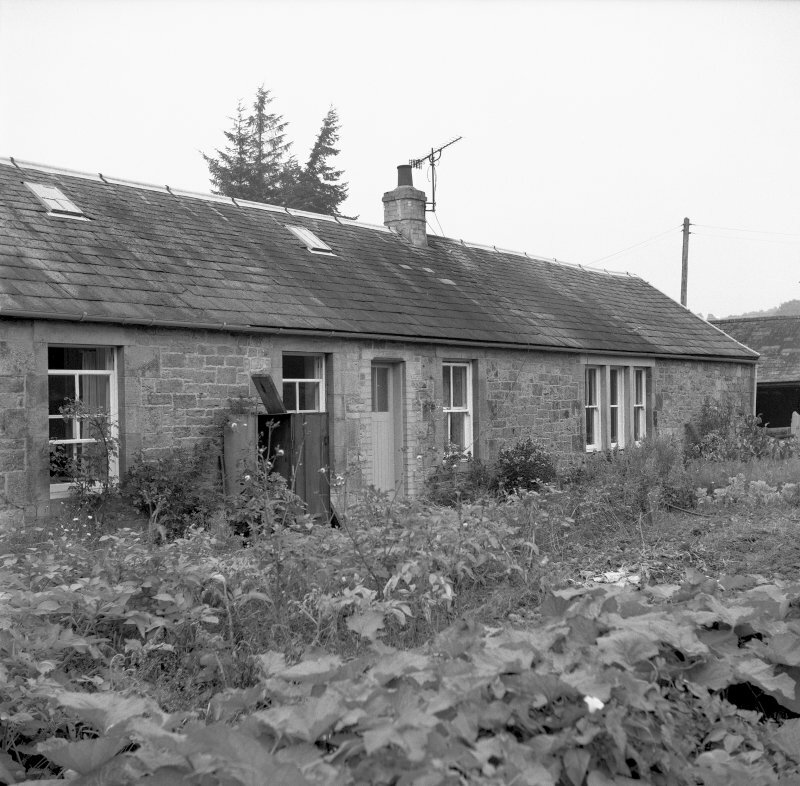 RCAHMS 1981, visited January 1981. 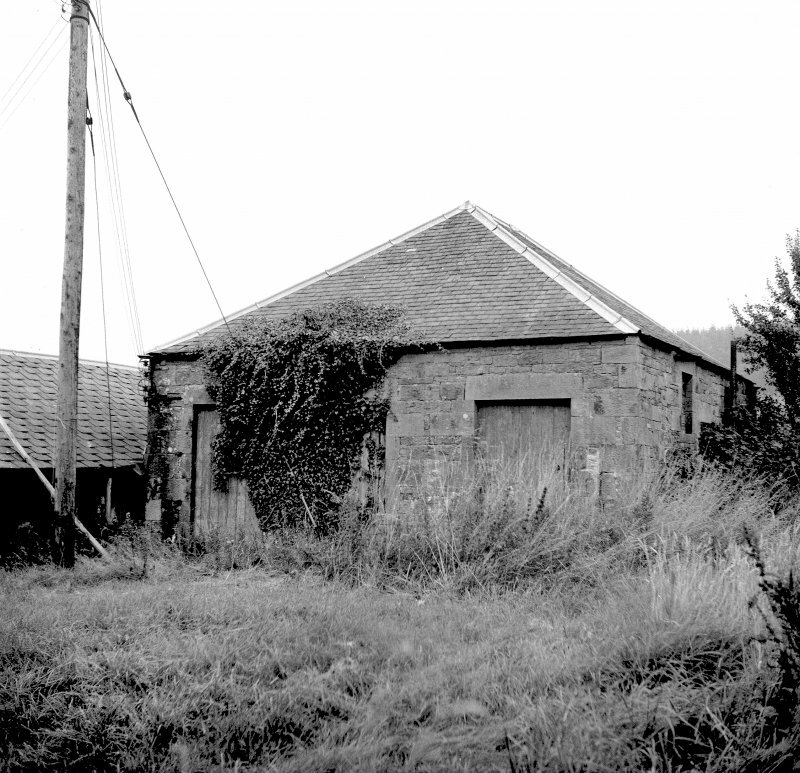 The Tarrasfoot tileworks operated from c. 1900 to 1969. 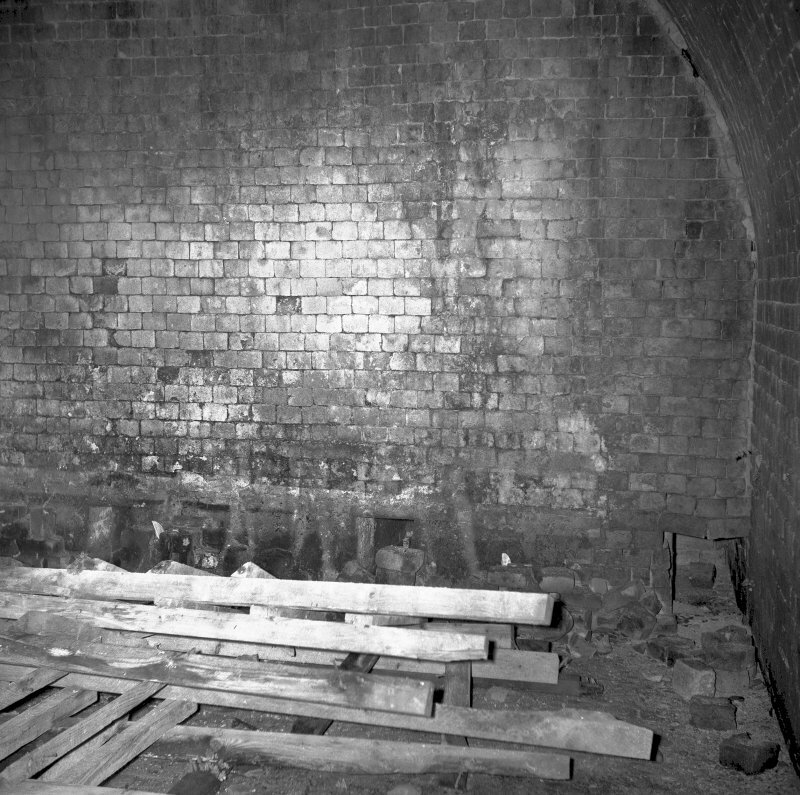 It is disused but remains complete, and has one intermittent kiln of Newcastle type. G Douglas and M Oglethorpe 1993. 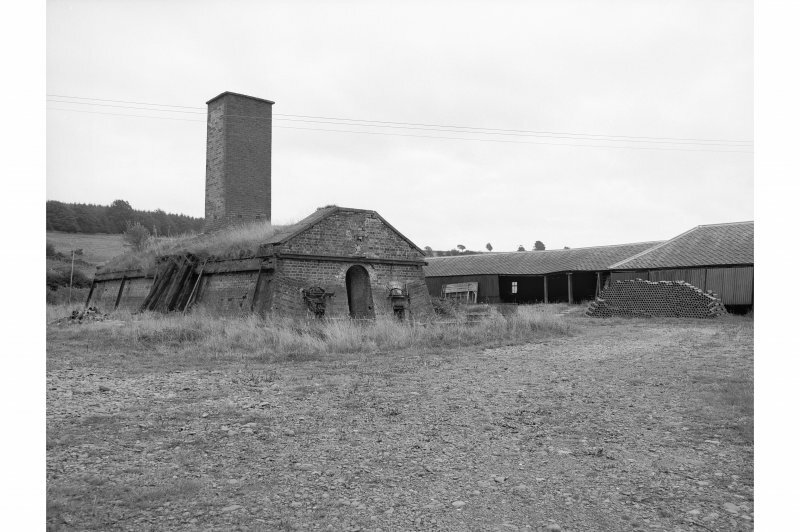 The tile works at Tarrasfoot was established by the Duke of Buccleuch at the beginning of the 18th century, and provided draining tiles for his tenants. 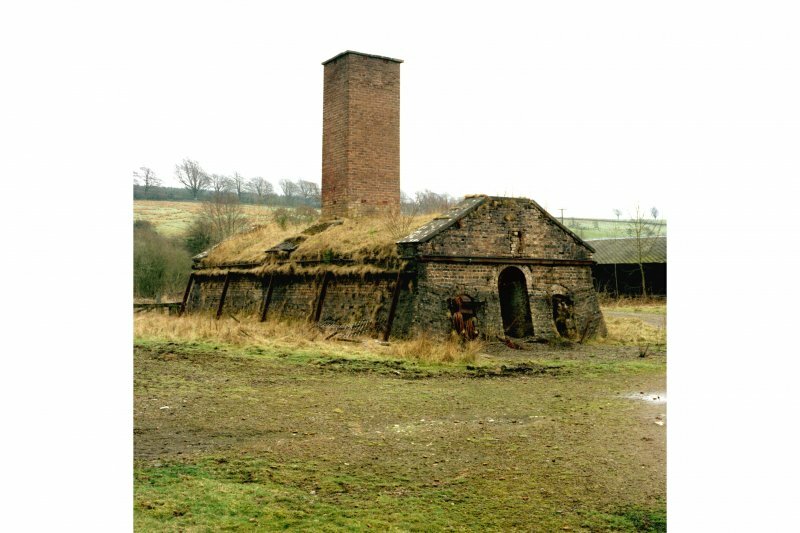 The tile works continued in production until the 1960's, producing mainly for the Buccleuch estate, but the kilns and drying sheds now lie abandoned. Visited by RCAHMS (ARW, SPH), 29 April 1993. Information from RCAHMS (RJCM), 8 October 1997. 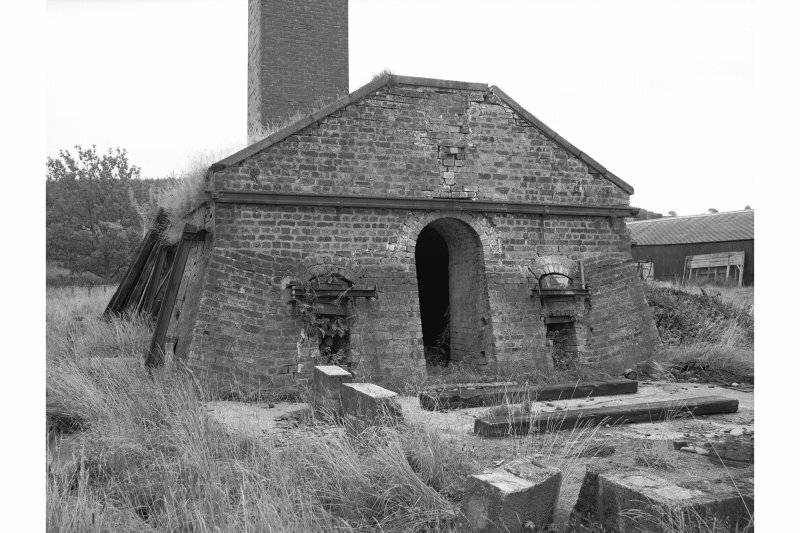 Main surviving buildings are; KILN: early 20th century; vaulted Newcastle kiln; rectangular-plan with openings to E and to W short walls; squat brick stack over common wall. Brick-built with iron/steel ties and braces. 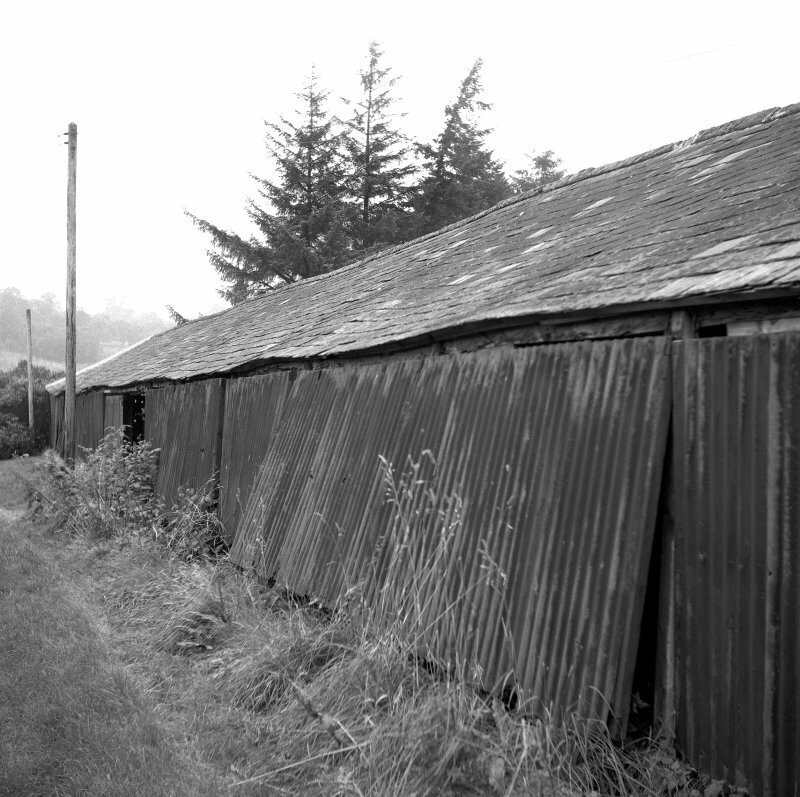 DRYING SHEDS: 2 single-storey buildings, the larger a remarkably long L-plan block, the other rectangular-plan; each structure is timber-framed with full-height louvred corrugated-iron panels; roofs half-slated. 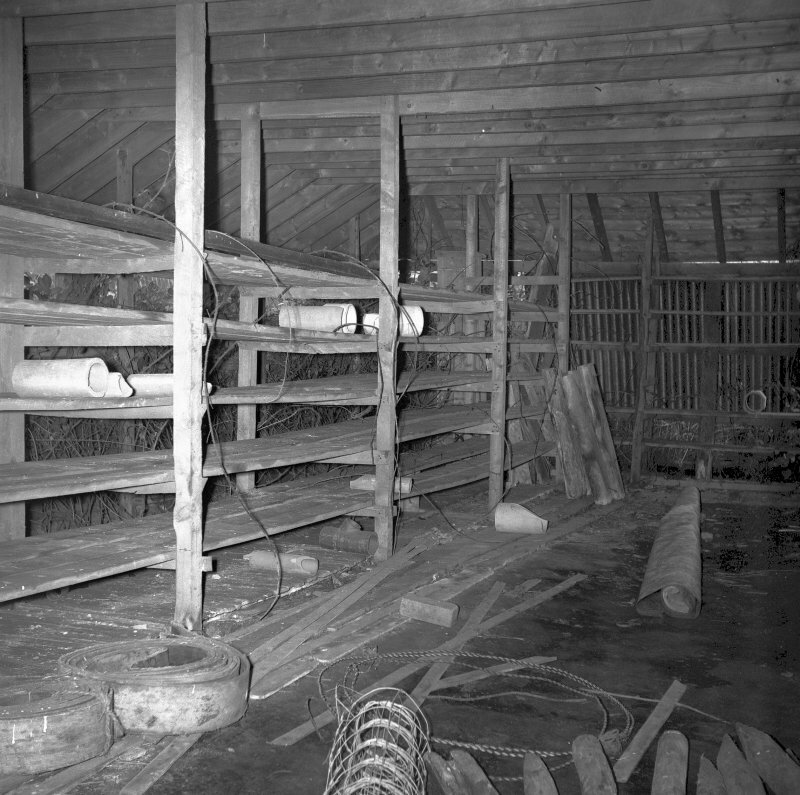 Interior with timber shelving racks. 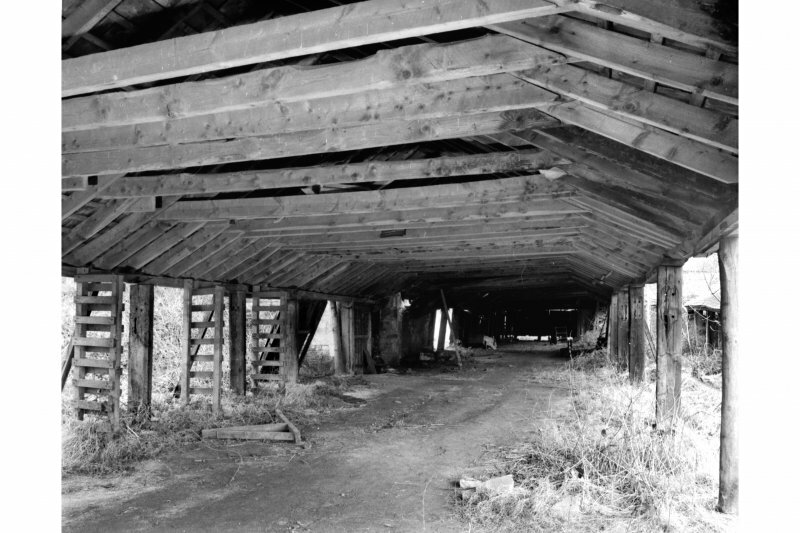 MACHINE WING: piend-roofed stone-built rectangular-plan block linked to long S wall of larger drying shed; machinery now removed. Roof full-slated.